• Bonnie Lake, upstream from Rock Lake, has difficult access requiring a rugged launch for small boats and a long paddle or motor up a winding, weedy channel to the open water. But the lake holds some bass, perch, bluegill and crappie. • Downs Lake can be excellent for perch, especially after Labor Day. It’s good for crappie and stocked with trout. • Eloika Lake is a regional favorite, partly because it’s such a pretty spot and partly because it has a ton of bass and perch. While trout are the most popular species sought by freshwater fishermen in the region, according to agency surveys, many anglers were hooked into the sport by panfish. Perch, bluegills and crappie can offer lots of action and tasty white-flesh table fare. Slab-sided crappie are particularly fun to catch, whether the angler wields a worm under a bobber or a popper on a fly line or anything in between. North Idaho’s top crappie waters include Hayden, Fernan and Twin Lakes. Mid to late spring is prime time for spawning crappie. After the spawn, crappie typically move to deeper water adjacent to those shorelines where they were found in the spring. “The challenge with deep water crappie is locating these fish in open water where they often suspend in the midwater layer,” Cooper said. Studies show that crappie have highly sporadic spawning success. Because of weather, water temperatures and maybe just good or bad luck, crappie typically produce large groups of young only once or twice in a 3-year span, he said. But considering that a 10-inch crappie can hold 100,000 eggs, the panfish can refill the gaps in their populations quickly when conditions allow. Catches of crappie greater than 10 inches are truly a memorable experience in North Idaho, where relatively cold water keeps them from the trophy sizes found in other regions of the country. 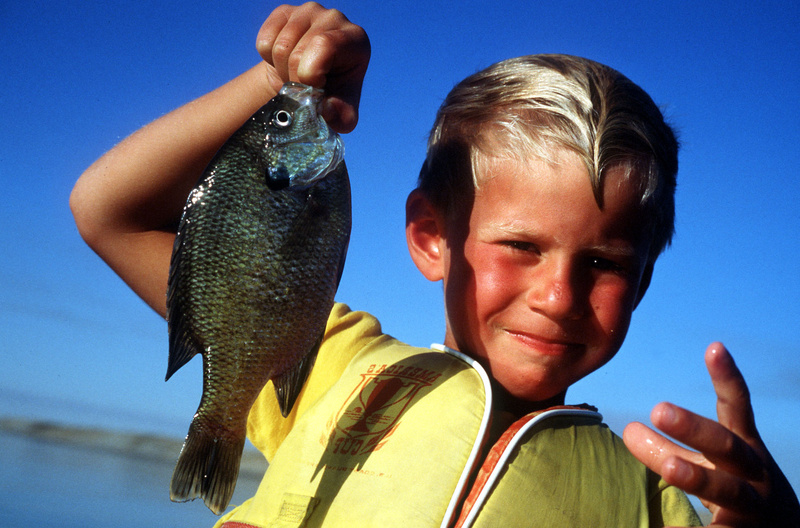 Idaho has no statewide general limit on crappie and no general statewide size restriction. Some lakes are managed specifically for growing larger crappie. “Hayden Lake offers the only fishing regulation exception in the Panhandle Region when it comes to crappie,” Cooper said, noting that the daily limit is six fish, and all harvested crappie must be at least 10 inches.